Spy Tools Comparison and How To Spy For Free! Discussion in 'General Affiliate Marketing Forum' started by Mobidea, Mar 27, 2017. Whether you’re only just beginning your media buying master path or you already see yourself as the ultimate money game super pro, it’s always important to follow the market’s cutting-edge trends to stay on top! By spying your faceless competitors, that’s how! Indeed, it’s crucial that you check which promo materials (banners, pre-landing pages) other affiliate marketers are currently using. By analyzing how they do what they do, you’ll be able to create a strategy and earn big! Spy tools will ultimately allow you to check your competitors’ ads and be more profitable! There are many quality ad spy tools available on the market. We wanted to help make this choice easier for you. 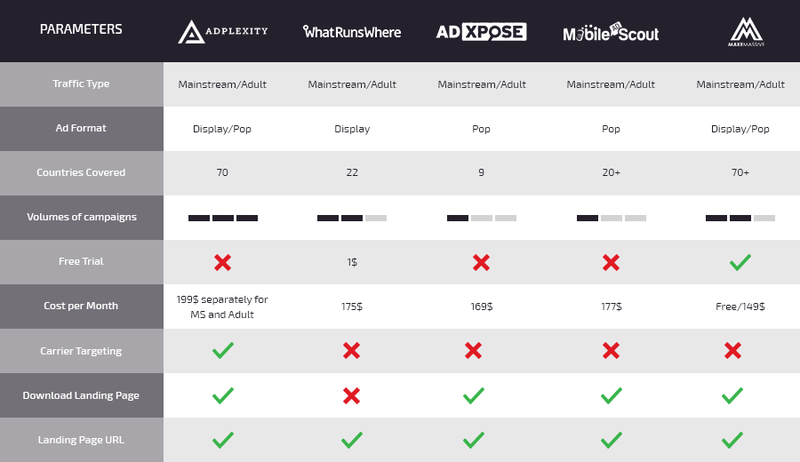 Meaning that we’ve made a super cool, mega detailed comparison table! Check it out and take your pick of the best spying tool around! Check more details on AdPlexity and WhatRunsWhere in the original source of the article - Mobidea Academy! You may not even need a high cost spy tool to monitor your media buying enemies. Do you need a spy tool for this? All you need is a VPN service along with the User-Agent Switcher extension for your browser! Just connect the county you’re interested in using a VPN. Then make it seem like you’re using a mobile device on the User-Agent Switcher extension, and check the website. Additionally, never hesitate to ask your account manager for suggestions on how to promote a particular offer in a particular segment! azgold, Mikkyjay, Luka19 and 1 other person like this.